Stuart Little: [as he grabs George's glasses] George, wake up. George Little: [talking into his pillow] It's Saturday. Stuart Little: I know. But it's the first day of Soccer. It's our first game. George Little: [wakes up and puts his glasses on] Soccer? Uh... I can't today. I caught a cold while sleeping. 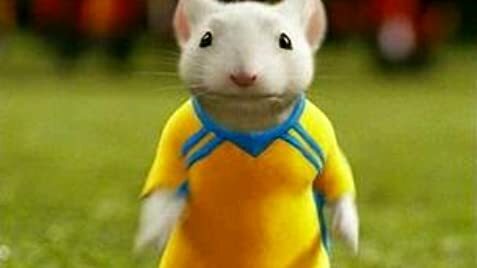 Stuart Little: You'll be fine. Come on, come on. It's gonna be great. This "Little" goes a long way. 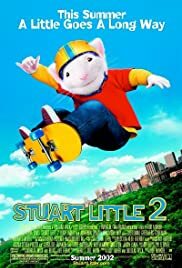 While less isn't always more, the makers of "Stuart Little 2" resisted the temptation to pad it out from its shorthand running time, meaning it goes by quickly and painlessly. Not that the actual plot of this followup to the original charmer is hard to take in itself (Stuart is starting to feel a bit left out, and when Margalo the wren literally drops into his life he gets a new dimension). In terms of technical levels it's only slightly easier to fault (Margalo looks a bit too cartoonish to be real, unlike Stuart Little himself and the falcon that's the movie's villain - but then again, Melanie Griffith [the voice of Margalo] always seems like a cartoon anyway), but the story by screenwriter Bruce Joel Rubin and the movie's producer Douglas Wick is what makes this ultimately inferior to its predecessor; what helped drive "Stuart Little" was our hero's wish to be accepted by his human brother and by the cat - sneer all you want, but the family message was hard to ignore. For the sequel it's more standard - the friend who's acting out of ulterior motives at first but then turns out to be a real friend, etc. Stuart isn't so much the protagonist this time, and it hurts a little.